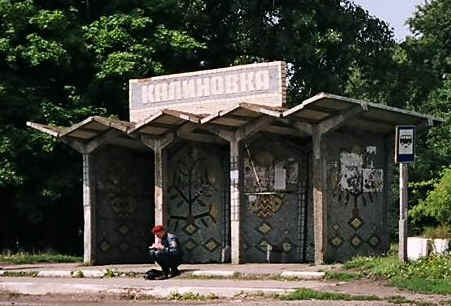 Kalinovka is a suburb about 20 miles north of Vinnitsa. According to International Jewish Cemetery Project posted at www.shtetlinks.jewishgen.org/kalinovka/ the earliest known Jewish community in Kalinovka was in the 18th century. In 1939, the Jewish population (census) was 1,097. Though it is stated in the same record that the Jewish cemetery was located at Schorca Street, Norimi and Heidi of Pervin Tree were unable to visit the cemetery. The above stated records of IJCP lists there were 1,500 holocaust victims from 1941-42 and are buried at the mass grave located West by the railway tracks. According to our records, Evsey Samuilvits, one of the sons of Samuil, was buried there in 1937. He was one of the victims of Stalin’s purge when tens of thousands of innocent military officers were summarily executed.